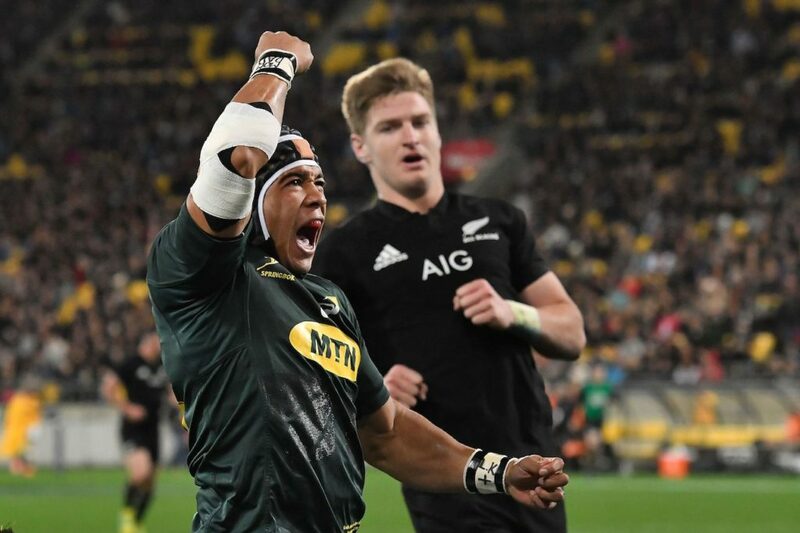 What NICK MALLETT had to say on SuperSport about the Springboks’ 36-34 victory against the All Blacks in Wellington. ‘Humble pie has never tasted as good as this, I must admit. I made a prediction before this game that anything less than 20 points [defeat] would be a good result for us and progress. ‘Never did I, or the bookmakers, or anyone think that we could score 36 points. We needed to score 36 because the All Blacks average 35. 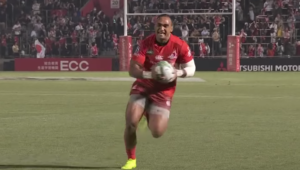 Unbelievable performance … five tries away from home against the All Blacks. 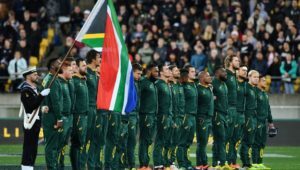 ‘The attack was just so much more varied, we did get the bounce of the ball with a couple of our tries, especially the intercept by [Cheslin] Kolbe and the quick throw-in [from Jordie Barrett] which Willie le Roux snaffled and scored. 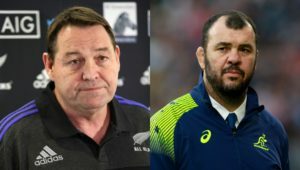 ‘We deserved the luck because we put pressure on them today and we saw a New Zealand side under pressure making mistakes that other teams make when playing against them. I am sure every South African watching this game would be so proud. It was a magnificent performance. ‘Before the game, we did speak about our attacking shape and what was so encouraging were the two [Aphiwe] Dyantyi tries, which came from us not taking the ball into contact from the first pass. 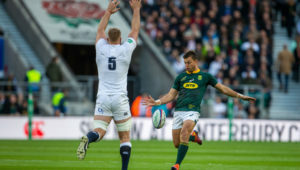 The one up the left wing when RG Snyman offloaded, [Warren] Whiteley was involved, [Elton] Jantjies threw that beautiful pass off the top, and the extra man straightened and passed. Great tries using the width of the field yet we still got our driving-maul try. ‘We played against a great team who scored two driving-maul tries against us. It was a really tough game. ‘Funnily enough, our kicking tonight won us the game. Imagine if our kickers had missed as many kicks as [Beauden] Barrett today. We would have been crucifying [Handré] Pollard or Jantjies. In the end, it was the two [conversions] that hit the post that gave us the two-point win. Well done to Pollard for the way he came back. ‘[Lukhanyo] Am had his best 40 minutes before he went off injured. Pollard went to inside centre and Jantjies came in to 10 in a very pressurised part of the game. You have to give them both credit because they both played very well for those last 20 minutes. ‘There was huge pressure against a very experienced New Zealand team that took bad decisions at the end of the game. There was a certain drop-goal opportunity at the end in front of the posts and yet they still went for the try. Barrett was in the pocket and he could have knocked it over. Thank goodness they didn’t and it shows that it doesn’t matter how experienced you are, you make poor decisions when you are under pressure.